In todays podcast we pick up where we left off from last week with Jason Gottlieb. He walks us through how he prepared for and won the open division in the latest Adonis Index competition. We’ll discuss his diet and training routine and more psychological tricks and mindsets for getting in phenomenal shape. Jason also took top notch pictures that will likely land him on the cover of one of our books as one of our first cover models. 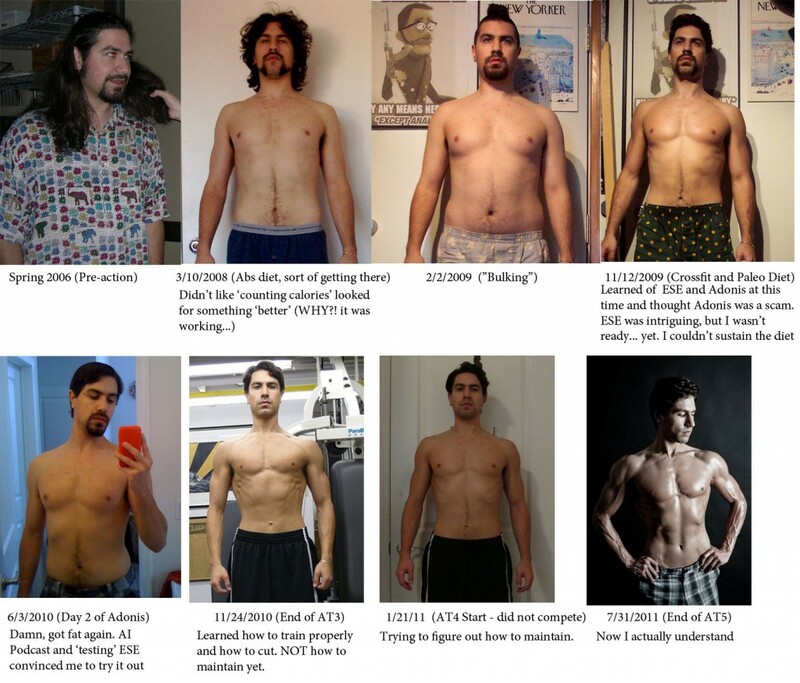 Jason also put his personal picture chronology/evolution that you can see below here. P.S. There is no formal introduction at the beginning of this audio as I’m less than competent at editing the two pieces of this interview (you’ll remember that part one also ends quite abruptly, which is also due to my lack of editing prowess).